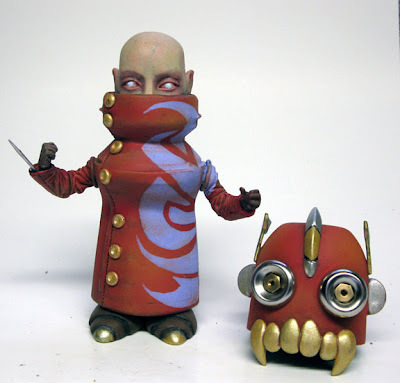 Ron English's Popaganda figures by MINDstyle are coming in November, window boxed. Buy a sealed case or individual figures. We have another custom show coming up with a due date of Halloween weekend, last weekend in October. The Rollies are as pictured below- they are all Ban brand or one of the Avon brands: Skin So Soft, etc...) so they are easy to locate. However, if you can't find one for yourself, we have easy access to them here in NYC and we can mail one to you for a couple bucks. $3 gets an emptied-out Rollie shipped to your door if you are in the US or Canada. Shipping overseas is slightly more but still very affordable. If you are interested in participating, please email back! Customs are due October 29th if you are mailing them in. If you are showing up in person, try to do so early so we can get the pieces set up! Why not? You're going to destroy & paint over the platform anyway, who says that has to be expensive? Mike loves interesting shapes and he'd been thinking about using the Rollies as platforms for years so I just felt he should carry that idea through! 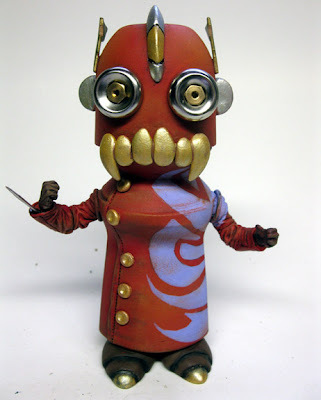 Nemo is Mike Mendez, a NY-based sculptor and artist who's quickly making his mark in the toy world as the go-to guy for sculpting projects and super-detailed customs. Check out the sample Rollie NEMO customized, it's called the Day Walker. HOW WILL MY PIECE BE PROMOTED? 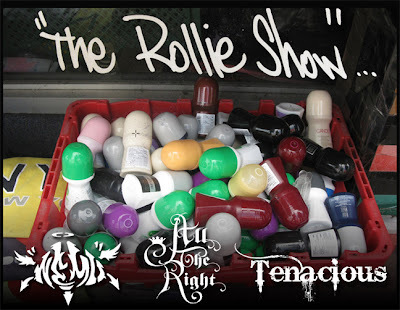 In addition to the show at All the Right in Queens, Tenacious Toys already has a section dedicated to the Rollies customs. Nemo and Tenacious will be posting up about the show on our blogs, facebook, myspace, twitter.. you get the idea. We'll be feeding info to the toy blogs and my dad's getting Nemo's logo tattooed on his back! Custom Rollies will be for sale! The proceeds from any sale will be split 50/50 between the artist and the curators. 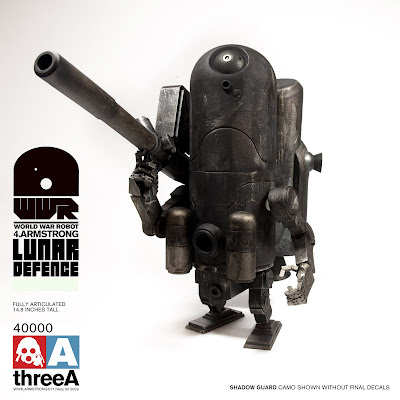 For potential buyers not in the NYC area, the Rollies will also be for sale on TenaciousToys.com for 4-6 weeks. Customs may be returned to artist at any time after that at your request. We'd love to have you participate! 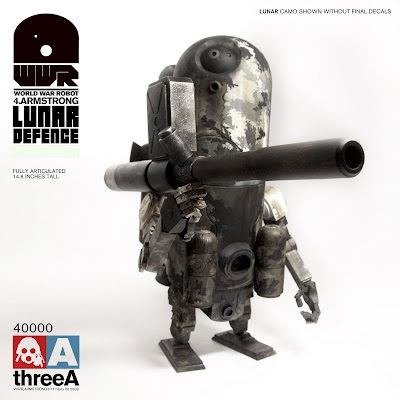 3A Armstrong: 15 inches tall, retailing for $125. 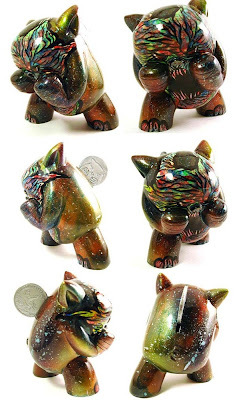 Lord Mesa's Kalua Moola is Argonaut Resins 5th designer resin toy release! OsirisOrion's artist crossover series custom variant stands at 4 inches tall and comes with 1 resin coin, and a signed Certificate of Authenticity by artist/designer Lord Mesa and sculptor/producer Eric Nocella Diaz and a custom package box with Lord Mesa's and OsirisOrion's artwork. OsirisOrion's Kalua Moola goes for $150 plus $8 shipping US.